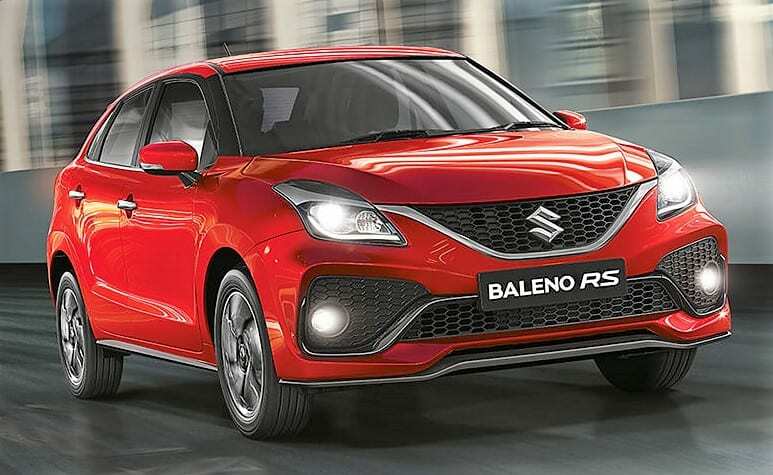 2019 Maruti Baleno RS is now listed on the official website. The car now comes with the addition of sporty components to the front section as all remaining angles are yet to be disclosed by the brand. The front now comes with supercar-inspired black inserts in the bumper, leaving just a small section for the LED fog light housing that could have also been missed for a premium performance-car feel. The number plate sits right in the centre of the bumper division and faux splitter with black finish is seen under the bumper. The car is seen with the popular Red shade on the official website. 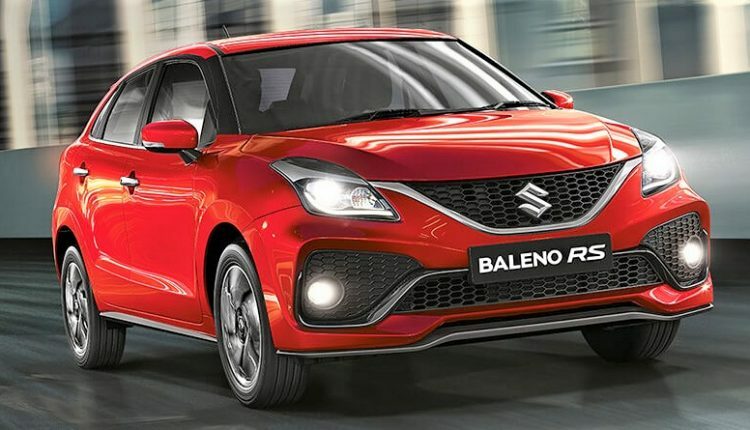 Maruti Suzuki offers the 2019 Baleno RS as a direct rival to Volkswagen Polo GT. However, the price difference between both the models brings a direct advantage to the Japanese brand. Polo GT TSI comes with an impressive dual-clutch gearbox and thus, the high price is justified at all costs for those who need ageless design and refined auto gearbox feel. 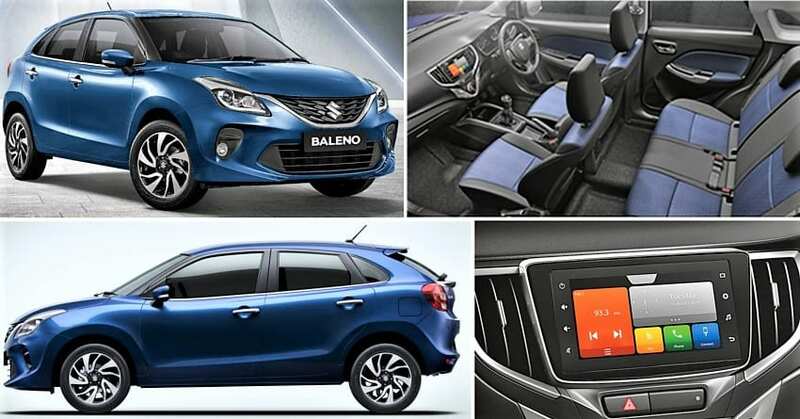 As the automatic variant of regular 2019 model of Baleno Alpha costs INR 8,77,299 (ex-showroom), expecting the 2019 variant of Baleno RS to get a price tag of INR 9 lakh would not be a wrong guess at all. At this price, buyers can even raise their budget by INR 1 lakh and get the die-hard performer named Abarth Punto from Fiat. However, the low number of touchpoints do not favour the performance hatch’s position among the rivals. 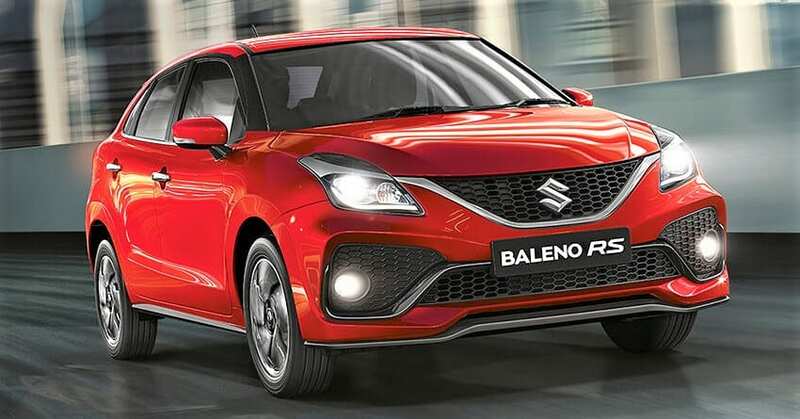 Baleno RS is powered by a 998cc, four-cylinder engine producing 100 HP and 150 Nm of torque. The engine comes mated to a 5-speed gearbox. On the other hand, Volkswagen Polo GT TSI is powered by a 1197cc engine, producing 105 HP of maximum power and 175 Nm of torque. The engine comes mated to a 7-speed dual clutch transmission.